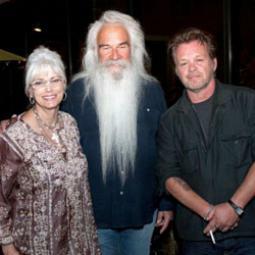 Emmylou Harris and William Lee Golden were at The Tennessee State Museum on May 17 to support their friend and fellow singer John Mellencamp at his opening art reception. John's art exhibit will be at the museum during the next month. All three entertainers have a successful dual careers in the field of art.